Kathy Pineo Barrett`s`Paying It Forward` and is helping others to 'Pay It Forward' as well! On all closed sales transactions, Kathy will make a $25. donation to the IWK Miracle Network AND to your local Food Bank or SPCA. 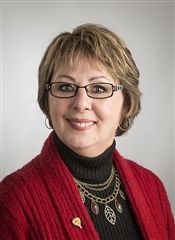 Kathy has recruited RE/MAX Sales Associates in various cities across Canada to 'Pay It Forward' as well. Kathy also has a number of very close family members in the Military and is more than aware of their special requirements.